The Mr. & I have really made an effort this past year to dedicate one night a week as "Family Night". We reserve Tuesays for this occasion & the girls look forward to it. In fact, as Pazely was getting ready for school this morning, she asked me, "Mom, what are we going to do tonight?" Sometimes it's a hot dog weenie roast in the firepit outside. Sometimes it's board games. Sometimes it's dinner out. Tonight it was lots of things... 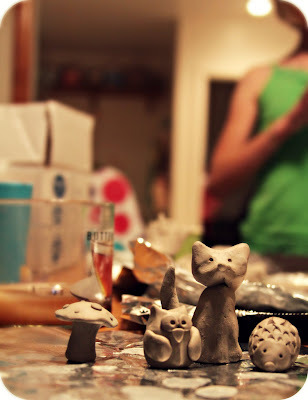 The girls & I played with some new air-dry clay. Then Pazely & I cleaned up the mess while Zoey & her dad competed in some airplane dogfighting on the Wii. 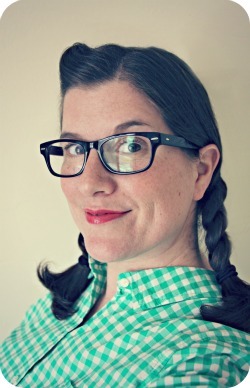 Then, I played with Pazely's hair. Then, I read another chapter of "On the Banks of Plum Creek". Mostly our plans are on-the-fly. Mostly they are non-extravagant. It's just the fact that we're in the moment with each other. And it makes us all feel good & happy inside.